Birla Institute of Technology & Science, Pilani offers degree and integrated programmes at the undergraduate (UG), postgraduate (PG) and doctorate (PhD) level. The programmes offered are in the streams of Engineering and Science. However, BITS also offers Pharmacy and MBA programmes. Besides the three campuses in India, BITS also has a Dubai campus. For admissions to Integrated First Degree Programmes(UG) at BITS, aspirants should have passed Class 12th class examination of 10+2 system from a recognized Central or State board or its equivalent with a minimum of 75% aggregate marks. They should have secured atleast 60% marks in each of the Physics, Chemistry, and Mathematics / Biology subjects. Aspirants aiming for admissions to PG(including higher degree, MBA and integrated programmes), need to have secured a minimum of 60% aggregate marks in the qualifying degree examination. They should hold a three year degree or its equivalent. Note: Aspirants are advised to thoroughly go through the eligibility criteria as mentioned by BITS Pilani for the course in which they wish to secure admission. The eligibility criteria may vary from programme to programme. Admissions to Integrated First Degree Programmes, Higher Degree(HD) Programmes, MBA and HD Integrated programmes at BITS, Pilani is based on merit secured in the exam conducted by the institute or national level exams that the institute accepts. For some programmes, admissions are also based on the merit acquired in 10 +2 qualifying examination. Check details below. Admission Process for Integrated First Degree Programmes: Students can gain admissions to the BITS’s Integrated First Degree Programmes by securing a good score in BITSAT. However, please note that the eligibility for admission is subject to fulfilling the requirement of minimum marks in 12th examination. The institute also offers direct admissions to Board toppers/first rank holders of all central and state boards to the programme of their choice, irrespective of their BITSAT scores. 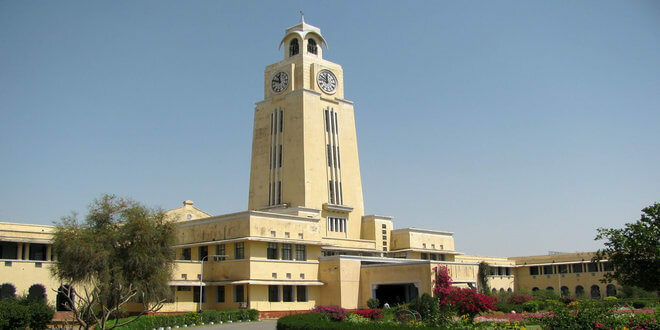 View BITS Pilani Fees here. Aspirants should have acquired the highest aggregate percentage of marks in Class 12 among all the students who have taken Physics, Chemistry, and Mathematics as subjects from the Board. To calculate the aggregate percentage, a student\\\’s aggregate marks should include the marks of Physics, Chemistry, and Mathematics subjects in addition to other subjects which are required to pass the 12th class examination from the Board under consideration. The marks of Physics, Mathematics and Chemistry should be considered in the aggregate irrespective of whether the Physics, Chemistry, and Mathematics subjects are identified as main/optional/elective in his marksheet(s). Admission Process for Higher Degree(HD) and Integrated HD programmes: Admissions to HD programmes is on the basis of the merit acquired by a student in the online test conducted by BITS which is subject to fulfilling the eligibility criteria. Admission Process for MBA programme: Admissions to BITS\\\’s MBA programme will be based on CAT/GMAT scores followed by group discussion and personal interview. Such students will called for GD and PI sessions to be held across cities including Pilani. Students will be notified for Test/Interviews for other centers. Such students will have to bear the cost of travel to other cities. Students can apply for admission at BITS Pilani by filling the application form available online on the official website of BITS admissions – http://www.bitsadmission.com/. Students need to take a printout of the completely filled application form and send it to the Dean Admissions, BITS, Pilani-333031(Rajasthan) along with the application fee. Students can know more about the mode of paying the application fee while applying online. There are separate application forms for Integrated First Degree Programmes, Higher Degree Programmes, MBA Programmes and Doctoral Programmes. Students need to fill a single application form for all the three campuses of BITS – Pilani, Goa and Hyderabad. Aspirants order of preference for programmes offered at three campuses will be sorted through a computer software and offers will be made accordingly. Besides applying and taking the exam/s conducted by BITS, students also have to apply for admissions to the institute by furnishing details of their 12th/graduation marks and preferences to different degree programmes offered. The completed form needs to be sent to the above mentioned website. The admit cards will be available for download along with instructions on the BITS admission website as per the schedule given. Students can download the same and take a print of the admit card. Students are advised to keep it safely as it needs to be carried to the test centers. Check BITSAT important dates here! The dates for other programmes are yet to be released. Once out, it will be updated here. BITS Pilani offers various programmes for international students at its Pilani, Goa & Hyderabad campuses. He/She should have passed Grade 12 examination with Physics, Chemistry, Mathematics and English conducted by the country’s Board of Higher/Senior Secondary Education, including those in India, or its equivalent examination such as the “A” levels (conducted by Cambridge International), the International Baccalaureate, etc. He/She should have secured a minimum of 75% aggregate marks (or 7.5 grade on 10 point scale) in the above examination. He/She should have secured a minimum aggregate score of 1160 (out of maximum of 1600) in SAT. Students who have not yet taken SAT can apply too. Check detailed eligibility criteria for international students here. Admissions to UG and PG programmes for international students at BITS is based on SAT subject scores. Students may or may have to go through an interview before admission. Aspirants are advised to read the information brochure available on the BITS international admissions website carefully for eligibility criteria, fee structure, and deadlines. Before applying, students need to register with a valid email id against. After doing this, a unique application number will be generated. Aspirants will have to upload scanned copies of passport (first and last page) or other proof of citizenship, passport size photograph, Signature, Grade 12 marks sheet (if available). Incomplete or inappropriately-filled application forms will be rejected. Such candidates can make payment through Credit Cards and Debit Cards using Online Payment Gateway. They can also pay the application fee through wire Transfer (Swift Mode). Through this method, a letter would be generated containing the details of the account to which funds are to be remitted. Aspirants will have to take this letter to banker and ask for fund transfer. Such aspirants can pay the application fee through Indian Credit Cards and Debit Cards, Net Banking of Indian banks using Online Payment Gateway and cash payment at all ICICI Bank branches (in India only) along with a specially generated Pay-in Slip. You can find more details about application fee payment on the payment page.